During the one hour guided tours you are guaranteed to see the charismatic Cheetah, a Leopard and enjoy a cat and mouse game with South Africa ’s seldom seen Lesser indigenous cats, such as the African Wild Cat, Servals, Caracal and the rare Black-Footed Cat. Experience the inquisitiveness of the busy Meerkats, watch the Blue Cranes dance and take pleasure in getting to know the mischievous Marabou Storks. 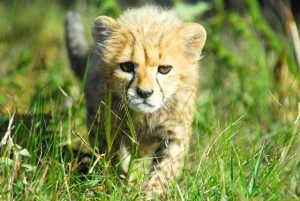 For the more adventurous we offer a walk with the Tenikwa Cheetahs. Take an exhilarating stroll through Tsitsikamma Indigenous Forest and Cape Floral Fynbos as you join the Tenikwa Cheetahs on their daily walk. A unique and personal experience with these amazing animals, the Cheetah Walk will stay with you for life. At Tenikwa, our animals speak for those who have no say. Learn about their struggle for survival in the wild during our guided tours. Your support funds our Wildlife Rehabilitation and Release Program. 24/7 transport from Jeffreys Bay to the Garden Route area.